It's practice time! 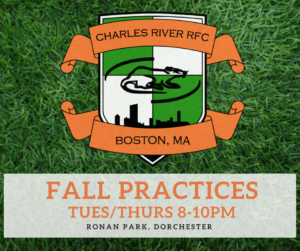 We're at Ronan Park in Dorchester. Look for the teams in orange and green. Be booted up and ready to go by 8pm. The closest T stop is Field's Corner on the Red Line.